We have a brand new contest for a chance to win a growler from us. Our saying is, “Life is short, get your fill.” So we are using that in the contest. 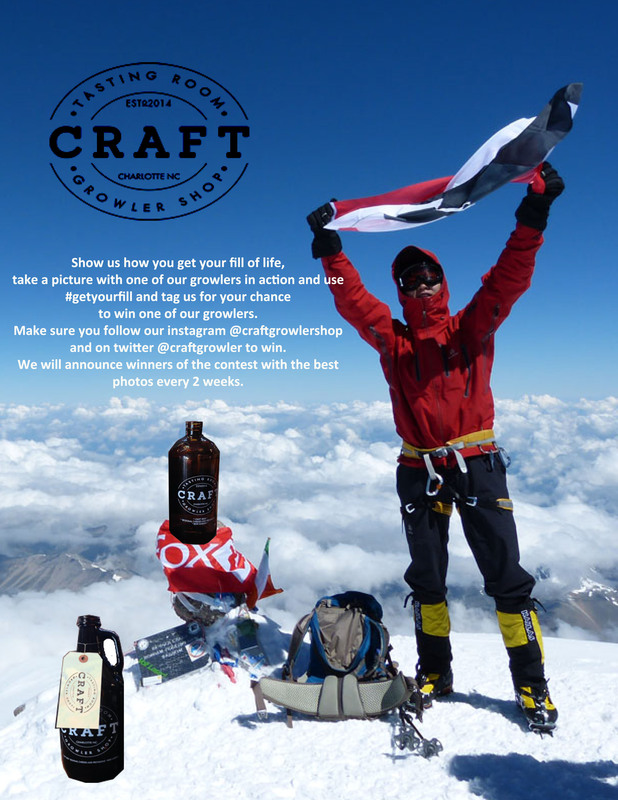 What we want everyone to do is to take a picture with one of our growlers and show us how you Get Your Fill of life. Make sure that your picture isn’t of you just sitting on our couch with one of our growlers. We want you make sure you tag us on twitter, @craftgrowler, or on instagram, @craftgrowlershop, and use the hashtag #getyourfill. From there we will select the best picture from everyone and they will be announced as the winner. For now we are doing a winner every 2 weeks. Make sure you keep up with us everywhere.